Welcome to my Fitness Blog & MMA Blog UK. It’s basically a mash-up of all things I’m interested in. I am a former MMA fighter and kickboxer. I have a first class Degree in Sport Science from Loughborough University and a Master’s degree in Exercise & Nutrition. 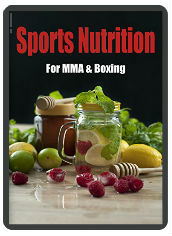 Download my free MMA Nutrition Book here. Contact me here. I’m a 37 years old and now train a lot at home and improvise in a range of ways to stay fit and healthy. I am a dad & a husband and see these as my primary & secondary roles in life, with training a distant third priority. I’ve discovered a range of ways to keep on top of training however, using bands, DIY punchbags, and bodyweight exercises amongst other things. Please take a look around and subscribe to my blog to keep up to date.